Move up in first round. Check. Make first of two moves to get franchise QB. Check. Wow. The Bills did it all with one big trade on Monday. Sending Cordy Glenn out of town is significant enough. He did not fit into their plans, was unreliable because of injury, had the biggest salary on the team and the Bills already have his replacement. That’s a win in itself, just like trading away Marcell Dareus. 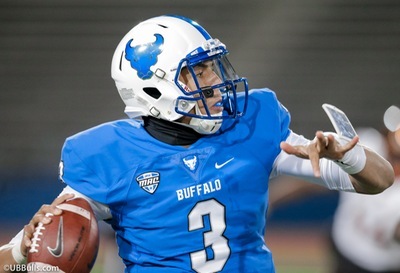 But it that wasn’t enough, what the Bills did in moving up to #12 in the first round is set themselves up for their next move, which is moving into the top four to get their franchise quarterback. 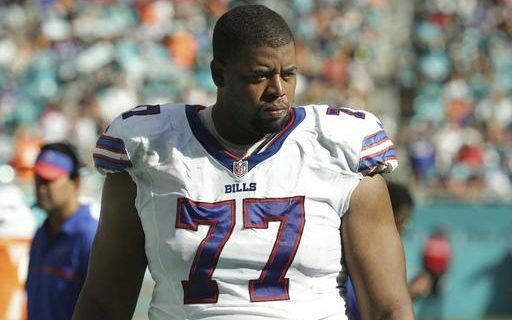 With Dion Dawkins ready to take over at left tackle, the Bills were desperate to get Glenn off t their roster and off their cap. With his injury history and high salary, that was going to be a question. But left tackles are in short supply, and as long as Glenn is heathly, someone was going to want him. It’s the Bengals. The only bad part for the Bills is the dead cap money. According to Spotrac, it’s now a total of $36 million which includes Dareus, Taylor, Glenn and others. But once that’s gone, they’ll be awash in cash in 2019. They should also have their franchise quarterback. In following the Eagles model which included two trades to get up to take Carson Wentz, the Bills can not make a viable move into the top four with the picks they have now. The problem with trying to get to the top four from #21 & #22 was that no team was going to want to go that far down. So now, if the Colts want to make a deal for #3, they still get a top 15 pick. Is #22 & #12 enough? Probably not, but it’s close. The famous Jimmy Johnson Draft Value Chart is not always the ultimate source for trading draft picks. But it’s still a good gauge of value. The values for #12 & #22 total 1980 points. Add in their first of two second round picks, and the 2370 points are enough to get somewhere around the 4th pick. Throw in the 3rd rounder acquired from the Browns are you get to the value of the Colts pick at #3. Toss in something else and you might entice the Giants to deal #2, and that gets you Josh Rosen. Maybe even Sam Darnold if the Browns take Saquon Barkley. Taking a broad look at the Dareus, Taylor and Glenn trades, Brandon Beane should already be given the 2018 Executive of the Year Award. What he has done is brilliant. While the final move is still to come, Beane has shown a methodical and determined approach to building the Bills to be a long-term winner. Not just a playoff flash. Every Bills fans knew this team needed to get a franchise quarterback. Starting with the trade of last year’s #10 pick (previous to Beane’s arrival), we all knew that the front office knew it as well. That was really the first move in all of this, and signaled that more moves were to come. Look for the Bills to make some position-filling signings in free agency starting Wednesday. Probably a veteran QB as well to hold the spot for Rosen/Darnold. With two #2’s & 2 #3’s (for now), the Bills still have the ability to fill some holes. I have always believed that the McDermott/Beane front office was targeting 2019 as The Year Of the Bills. Last year was meant to be a housecleaning rebuild, but it accidentally turned into a playoff season. 2018 may be a step back, as the roster cleansing may effect the talent level and force some rookies (maybe even the rookie QB) to play early. But by 2019, this should be a team ready to compete for a divison title and a Super Bowl. While we all loved the end of the drought, isn’t that what every Bills fan wants.